Good food hygiene is crucial for caterers who are looking to establish and maintain their businesses. Many restaurants, takeaways, cafes and even food carts will live and die by their food hygiene ratings. If a caterer gets a poor reputation for hygiene among customers, then their business can dry up very quickly. Maintaining good hygiene is all about controlling harmful bacteria and preventing illness. Cross-contamination is one of the most common causes of food poisoning and other illnesses. Most often, it is caused when raw food touches some ready-to-eat food. Make sure you thoroughly clean and disinfect work surfaces and equipment after preparing any raw food. Use separate, colour coded chopping boards and knives for different food products (particularly raw meat/fish). Keep raw and ready-to-eat food items separate at all times. Store raw-food below ready-to-eat food in the fridge to prevent juices dripping onto ‘clean’ foods. If possible, use different fridges for different products. Wash your hands before and after preparing food. Make sure you have separate working stations, cleaning supplies, equipment (including packaging equipment) and storage facilities for raw and prepared food. 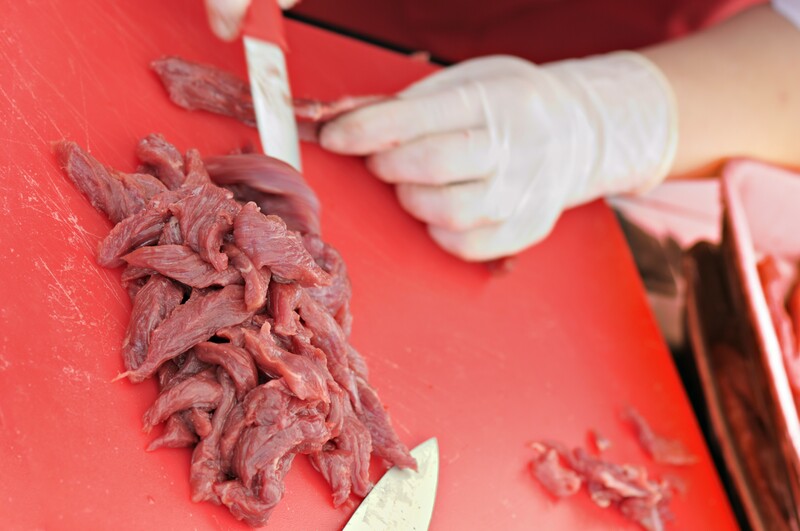 Most importantly, educate your staff members about the dangers of cross-contamination. To help caterers avoid cross-contamination, H&O Plastics produce food-safe plastic buckets in a variety of different colours. Using colour-coded containers can be an effective weapon against mixing up food products. Raw meat should be stored in red containers while pre-prepared items like salad should be kept in green containers. A good clean kitchen is important to combatting bacteria and stopping the spread of harmful materials onto your food. Teach your staff an effective hand-washing routine. Clean and disinfect food areas between tasks. Make a clear as you go rule. Don’t allow washing up or food waste to build up. Use a range of suitable cleaning products which meet the BS EN standards. E.g. BS EN 1276 or BS EN 13697. All H&O products are easy to clean and fully dishwasher safe. Chilling food properly prevents harmful bacteria from multiplying. Certain types of food must not be left standing around at room-temperature for too long. Make sure food deliveries are suitably cod before they get on the premises. If a delivery truck is unrefrigerated, send the delivery back. Audit food and define what needs to go in the fridge. Make sure cooked food is cooled and refrigerated as quickly as possible (but do not put warm food in the fridge). Make sure food is out of the fridge for the shortest time possible before preparation. Regularly check your fridges display, or else use an external thermometer, to make sure food is kept at the optimum temperature. Thorough cooking is extremely important to killing bacteria. You must make sure that all of your food is piping hot, all the way through, before serving it to customers. For certain types of meat, like poultry, pork and minced meat, this is critically important. These products should never be served pink or rare. ← Is your food packaging compliant with food-contact regulations?